Two powerhouses of cricket, Pakistan, and Australia indulge in what promises to be a mouth-watering series as both sides look to up the ante in their preparations for the showcase event i.e. World Cup 2019. Whilst Australia head into the series with a stunning comeback series-win over World Cup favorites India, they now seek revenge against Pakistan, who trumped them in the other formats last year. With a number of players being rested for this series, Pakistan might label themselves as the underdogs although they are by no means, pushovers as they face the Aussie in the first ODI on Friday. In the absence of Sarfraz Ahmed, Babar Azam, and Fakhar Zaman, Shoaib Malik assumes captaincy of a relatively young side that boasts of supremely talented individuals such as Mohammad Hasnain. Shan Masood should open the batting with Imam-ul-Haq while the likes of Abid Ali and Umar Akmal also stand a chance of making it into the playing XI. Mohammad Hasnain could play on Friday along with leggie, Yasir Shah and Imad Wasim in the spin department. Possible XI: Masood, Imam, Sohail, Akmal, Malik(C), Rizwan(WK), Wasim, Ashraf, Yasir, Hasnain, and Amir. With spin set to play a major role in Sharjah, Australia would be tempted to field both Zampa and Lyon while the rest of the side should be similar to the one that played in the fifth ODI in Delhi against India. Usman Khawaja and Aaron Finch form a formidable partnership at the top of the order while Marcus Stoinis and Peter Handscomb's ability to play spin bodes well for the team in the long run as well. Glenn Maxwell is down with an illness and could be replaced by Shaun Marsh if deemed unfit for the match. Possible XI: Finch(C), Khawaja, Handscomb, Maxwell/Marsh, Stoinis, Turner, Carey(WK), Cummins/Nathan Coulter-Nile, Jhye, Zampa, and Lyon. In spite of good pitch to bat on, spinners should have a field day on the dry surfaces on offer in Sharjah. The likes of Zampa and Yasir Shah would be crucial on this surface with a number of overs from part-timers also on the cards in the first ODI. Wicket-keeper: With Alex Carey batting too deep for anyone's liking, Mohammed Rizwan is the preferred choice for this match. He has been a consistent performer for the Pakistan A side and should justify his selection with some runs on the board. Batsmen: In-form batsmen, Usman Khawaja, Peter Handscomb and Imam ul Haq are must-haves in the side while Umar Akmal's resurgence in the PSL night give him the nod over the like of Haris Sohail and Aaron Finch as the fourth batting option. All-rounders: With Glenn Maxwell's participation in doubt, Marcus Stoinis and Imad Wasim are the safer options to go by. Both of them are capable of picking a wicket or two along with their big-hitting ability. Bowlers: Spinners, Adam Zampa, and Yasir Shah are invaluable picks on a slow pitch while Jhye Richardson's ability to generate pace and bounce out of such types of wickets also holds him in good stead. 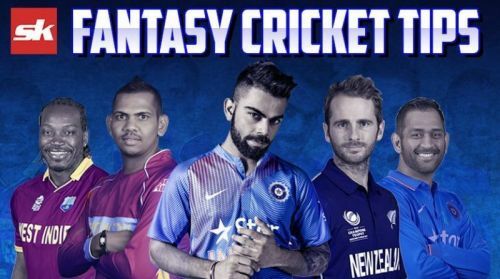 One of Mohammad Amir or Mohammad Hasnain should suffice in rounding off the fantasy team. Captain: With Usman Khawaja stellar run of form, he cannot be ignored in the running for captaincy while the likes of Marcus Stoinis and Imam ul Haq are also viable options to double up your points.